Handshake between Chairman Kim Jong-Un and President Donald Trump. 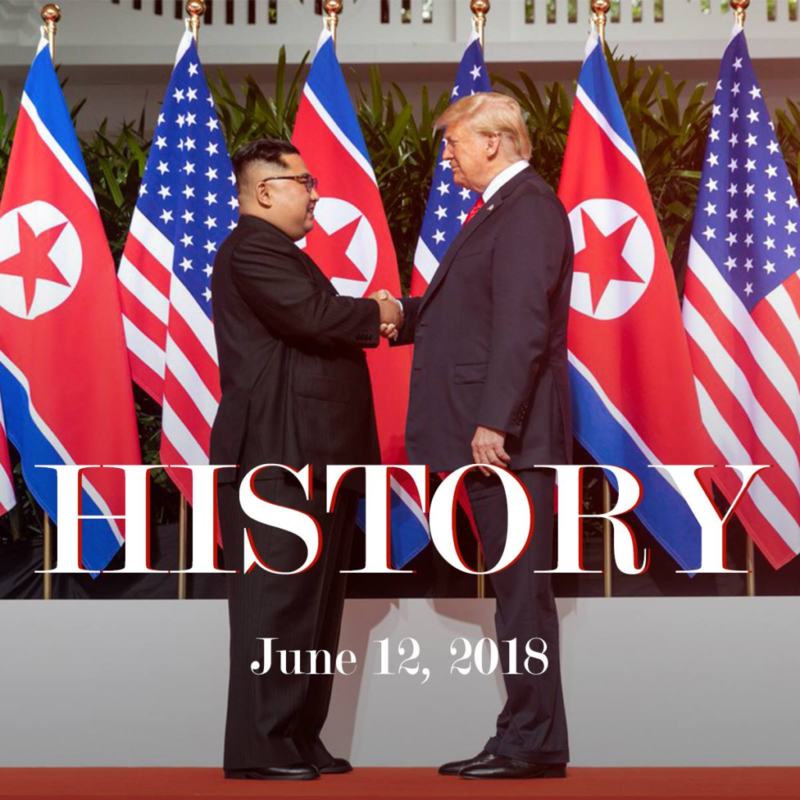 SINGAPORE—Only two months after the first inter-Korean summit, the President of the United States, Donald Trump, meet with North Korean leader Kim Jong-un on Tuesday, June 12. The meeting is over 68 years in the making and transpired in Singapore between the two leaders. Trump indicated during a press conference that the effort toward denuclearization is imminent, something that the country of North Korea has never considered in the past. Trump stated that he signed a joint statement with Kim Jong-un, where the country re-affirms the commitment of Pyongyang, North Korea toward complete denuclearization of the Korean Peninsula. He affirmed that North Korea has already started to destroy its missile testing sites before signing the agreement. According to President Trump, a new relationship of trust between the two countries is developing. He acknowledges the recent release of three American hostages from a North Korean labor camp as a first step towards peace. After security and assurance concerns were shared by the media that was present during the Summit, President Trump explained that the military effort surrounding the Korean peninsula would not be reduced at the moment, but hopefully in the near future. American soldiers are expected to stay on site. Some military exercises which American soldiers participated in with South Korean soldiers would cease operations. Trump referred to the exercises as “War Games,” and the end of those exercises would allow the military to save a large amount of money.